Does the Corvette have what you want out of a vehicle? Scroll past the video to find out! Don't stress out over your next purchase; look to the well-known Chevrolet retailer in Springfield for thoroughly researched reviews written by industry specialists. To make sensible decisions when it comes to your next Chevrolet Corvette purchase, don't guess! 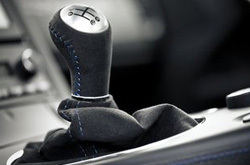 Each article is crammed with material and Corvette features in way that's easy to understand. Does the Corvette have your name on it? Read more and find out! When comparing the 2013 Chevrolet Corvette side-by-side with the 2013 Dodge SRT Viper, Ford Shelby GT500, Nissan GT-R and the BMW M3, and you'll realize that the Corvette outshines those autos in many aspects. See just a few of the reasons below. Unlike megacorp auto centers, our Springfield car repair facility offers bona fide OEM parts, fantastic Chevrolet trained technicians and a lengthy warranty for all work. We're also conveniently sited near a long list of local cities. Turn to the auto repair old pros in Springfield, Reliable Chevrolet, when your Chevrolets takes a walloping. 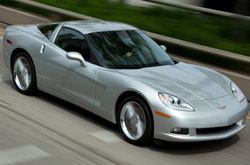 We can administer a straightforward task as an oil change, or deliver quality challenging Chevrolet Corvette service and repairs like strut and shock repairs, timing belt replacements and Corvette transmission rebuilds. Reliable Chevrolet is your superior choice in Springfield for quick, professional Chevrolet service and regularly scheduled maintenance. Check out the link below to see how much money you can save on your next service appointment.